2018 Electronic W-2s are now available. Paper W2s have been mailed. Sign on to the CIS and select the Employee page. 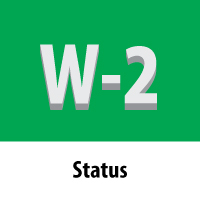 Click on View W-2 Forms and you will have access to your W-2. Try another browser, i.e. Chrome, Firefox etc. Clear your cache and cookies, click here. If you are using Chrome, click here. If you did not elect to receive your W2 electronically and are currently employed, paper W2’s were mailed to the Home address on file in CIS. If you did not elect to receive your W2 electronically and are not currently employed, paper W2’s were mailed to the address on file in CIS. If you are no longer an employee of the University of Utah, your W2 will be mailed at the end of January, unless you elected to receive your W2 electronically. If you did not receive it in the mail or elected to receive it electronically, see the instructions above for electronic W2’s, however, select the Affiliate page instead of the Employee page. Contact the help desk at 801-581-4000 if you have issues logging in to CIS.